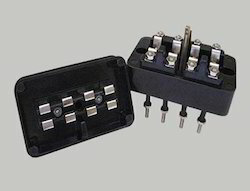 hese 4 Way Test Blocks are used for mounting on switchboard panels for use with proper test equipment to facilitate the testing of AC instruments, meters and relays. PH Tool Reference Standards, headquartered in Pipersville, PA, has supplied the Nondestructive Testing (NDT) industry with high quality Reference Standards and Test Blocks Whether you need EDM notches, Flat-bottom holes, Micro-holes, or Test Blocks, PH Tool can handle your order. Our company has been acknowledged for offering Reference Test Block to clients. 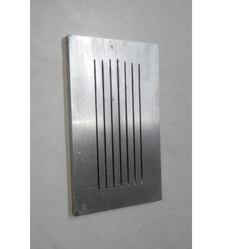 This product is used in various industrial sectors. Reference Test Block is manufactured in adherence with industry set standards by using well tested raw material and contemporary technology under directions of our veteran professionals. We are engaged in offering D Type Test Block which is required for all other probe type except G Probe. In order to keep pace with the never ending demands of customers, we are involved into offering wide range of Test Block. - Used for Yoke and Coil type Magnetization. - Used for Prod type Magnetization Meets BHEL requirements.